In one long noon of golden reverie. ‡‡The distant mist, yet scarcely catch the view. ‡‡Saint Catharines, city of the host of flowers. Source: Lampman, Archibald. (ed. 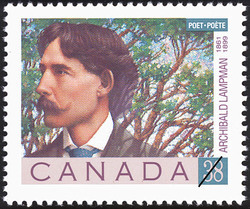 & with a memoir by Duncan Campbell Scott) The Poems of Archibald Lampman. Toronto; George N. Morang & Co., 1900. The Lampman family homestead, originally known as Mountain Point, became the present day Woodland Conservation Area. Next Next post: Niagara in Winter by Edward F. Garesché, S.J.